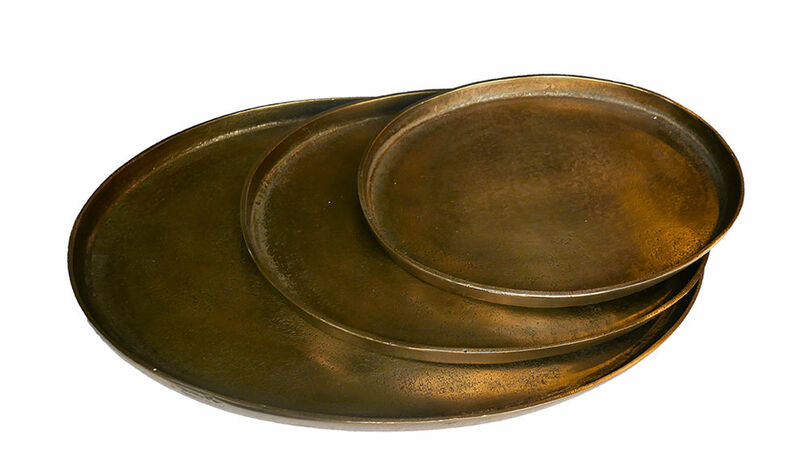 Chic and refined, this set of 3 round metal trays has a superb brass finish. 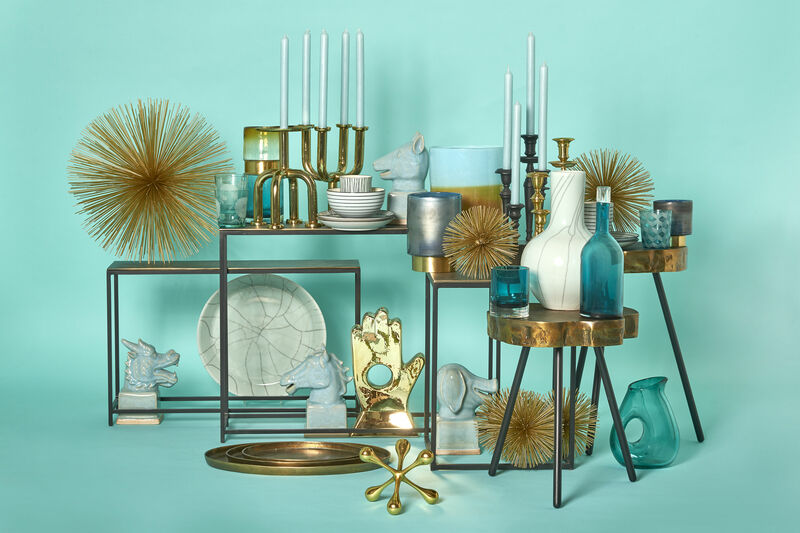 The patinated metal reminds us of ancient objects. Hand-crafted, these trays display attractive, slightly irregular lines. Available in 3 sizes, they can fit into each other and are highly functional in all situations: for an aperitif, at tea time, for a TV tray ... You can also use the trays as trinket bowl to keep your bits and pieces in style. Placed in the middle of your table, they’ll cause a sensation.